The Nashville Predators matched Shea Weber’s 14-year, $110-million offer sheet from the Philadelphia Flyers. Predators fans could sigh in relief that they were keeping their captain and, arguably, best player. On top of that, their two-time Vezina Trophy finalist goalie, Pekka Rinne, signed a 7-year, $49-million dollar contract in November of 2011. Things seem to be looking up, right? Well, to many people, no. J-P Dumont: Became an unrestricted free agent as of July 1st, 2011, after the Predators bought out his contract. He signed with SC Bern of the Swiss National League A.
Steve Sullivan: Became an unrestricted free agent as of July 1st, 2011, and on the same day signed a 1-year, $1.5-million contract with the Pittsburgh Penguins. Matthew Lombardi: Was traded on July 3, 2011, to the Toronto Maple Leafs, along with Cody Franson. Shane O’Brien: The Predators acquired him off waivers, played a career-high 80 games, and participated all twelve of the Predators playoff games. The Predators didn’t sign him after the playoffs and he became a free agent. On July 13, 2011, he signed a 1-year contract with the Phoenix Coyotes. Cody Franson: Was traded on July 3, 2011, to the Toronto Maple Leafs, along with Matthew Lombardi. Joel Ward: Became a free agent as of July 1, 2011, and signed a 4-year, $12-million contract with the Washington Capitals the same day. Marcel Goc: Signed a 3-year, $5.1-million contract with the Florida Panthers on July 1, 2011. Ryan Suter: On July 4, 2012, he signed a 13-year, $98-million contract with the Minnesota Wild. Jordin Tootoo: Became an unrestricted free agent as of July 1, 2012, and signed a 3-year, $5.7-million contract with the Detroit Red Wings after turning down a nearly identical offer from the Predators. Jerred Smithson: On February 24, 2012, he was traded to the Florida Panthers for a 2012 6th-round draft pick. Francis Bouillon: On July 1st, 2012, he signed a 1-year, $1.5-million contract with the Montreal Canadiens. Blake Geoffrion: On February 17, 2012, he was traded to the Montreal Canadiens (along with Robert Slaney and a 2012 second-round pick) for defenseman Hal Gill. Cal O’Reilly: On October 28, 2011, he was traded to the Phoenix Coyotes for a 2012 fourth-round draft pick. Anders Lindback: On June 15, 2012, Lindback was traded to the Tampa Bay Lightning with Kyle Wilson and a seventh-round draft pick. The Predators received Sebastien Caron, two second-round draft picks in the 2012 Entry Draft, and a third-round draft pick in the 2013 Entry Draft. Alexander Radulov: After the lengthy process of getting him back from the KHL, and the mess with him and Andrei Kostitsyn, on June 6, 2012, the Predators announced that they would not be extending his contract, making him a restricted free agent. He signed a 4-year, $9.2-million contract with CSKA of the KHL. Andrei Kostitsyn: After the ordeal with him and Radulov, the Predators made it obvious during the 2012 offseason that he would not return. He has remained a free agent, going unsigned so far. All that really felt like a blow to the Predators, but not all hope is lost. If you look past all the negative, the Predators are just as good a team as ever. As I said earlier, they’ve cemented Pekka Rinne and Shea Weber. Yes, they have not replaced Weber’s defensive partner, Ryan Suter, but if their younger defensive players can step up to the plate, there shouldn’t be any problems. I’m not bashing Suter, because he is a good defenseman, but when he was playing alongside Weber, I believe his ability was viewed as being better than it actually was. No fault to him, but of course someone is going to look good when Shea Weber is the other half of their defensive pair. If you really break it down, there were many, many times when Suter was hurting more than he was helping. 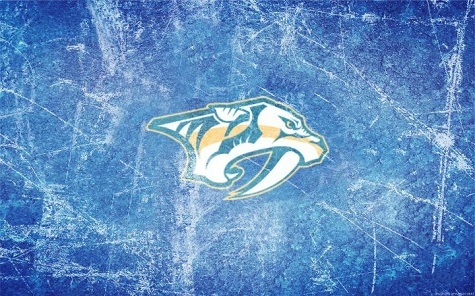 I know some Predators fans are/have been dwelling on losing Suter, but I see it as a blessing in disguise. Losing him made the Predators able to afford Weber. Losing Radulov isn’t a very big hit, seeing as he played well during the playoffs, but wasn’t necessarily the huge impact everyone expected. Kostitsyn, on the other hand, hurt. He was part of a line, with his brother Sergei and David Legwand, which proved very effective. The Predators still have the likes of Martin Erat, Colin Wilson, Gabriel Bourque, Mike Fisher, David Legwand, Patric Hornqvist, Paul Gaustad, and Sergei Kostitsyn. No complaining there. Patric Hornqvist: Is a consistent player, scoring 27 goals-16 assists last year. Martin Erat: May not be a big scorer, but is definitely dependable when it comes to assists (he had 39 last year). Mike Fisher: Varies, but he was about even last season, having 24 goals-27 assists in 72 games last season. Colin Wilson: Is still a young player with the ability to become a top forward, posting 15 goals-20 assists in 68 games last season. Gabriel Bourque: Had his rookie season in 2011-2012, posting a somewhat impressive 7 goals-12 assists in 43 games, but I expect quite a bit more from him in 2012-2013, as he has the potential to grow like Wilson. David Legwand: Is not quite consistent, having a career-high 27 goals way back in 2006-2007, but he’s stayed in the high-teens when it comes to goals and last season had 56 assists (no complaints!). Paul Gaustad: Has only had a partial season with the Predators, posting 4 assists in 14 games, so we’ll have to see how he works with the team over the next few seasons. Sergei Kostitsyn: A consistent player, but everyone wishes he would just SHOOT more. If he can do that, I’m sure he’ll rack up quite a few more goals than his 17 from last season. The Predators have been in much worse situations during the offseason. Just remember: it could always be worse. We could have lost both Suter AND Weber.